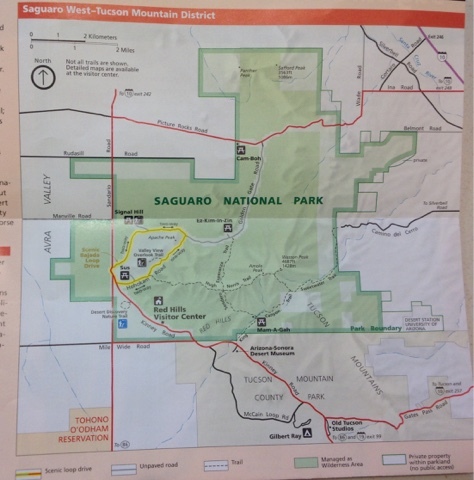 Saguaro National Park consists of two pieces, East and West with the City of Tucson in the middle. I visited the West Park on Tuesday, 2/23/16 (Day 51). 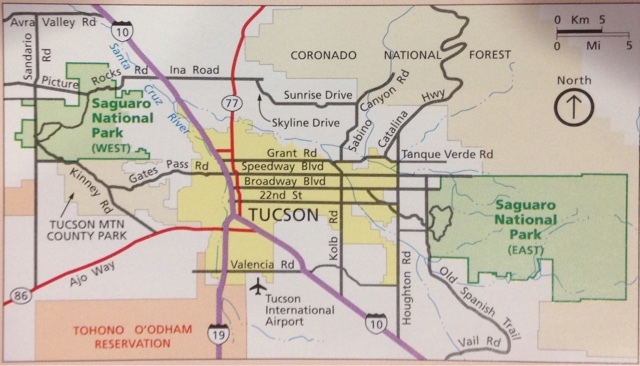 The West Park is over the mountains from Tucson and in general there are more Saguaro to see here than the East Park, See photo of map above. 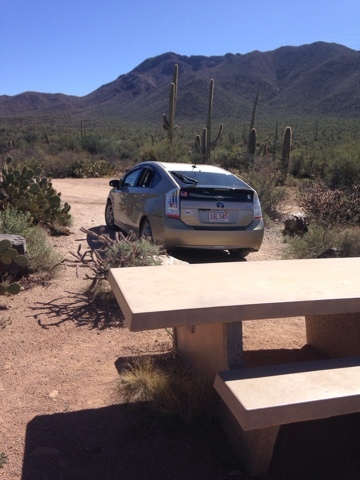 The West has a long road to connect picnic areas that is away from the visitor center. There is a sign to inform you that it is a fee area that you need to pay at the Visitors Center. I don't do this as I have my National Psrk Senior Pass. I put my pass on the dash. 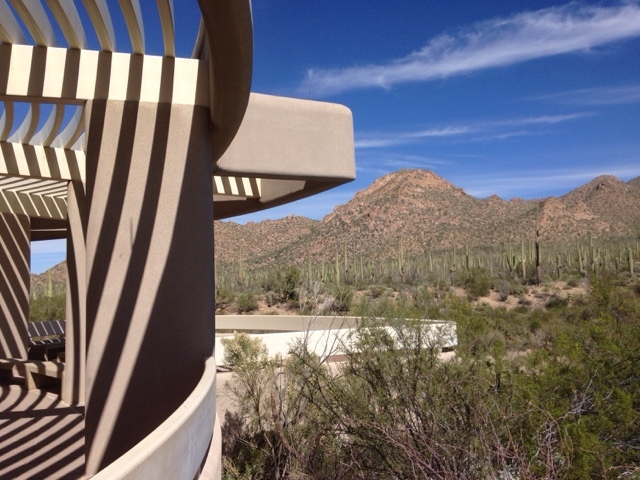 This is a view of the Visitors Center looking west to the mountains. Tucson is on the other side. 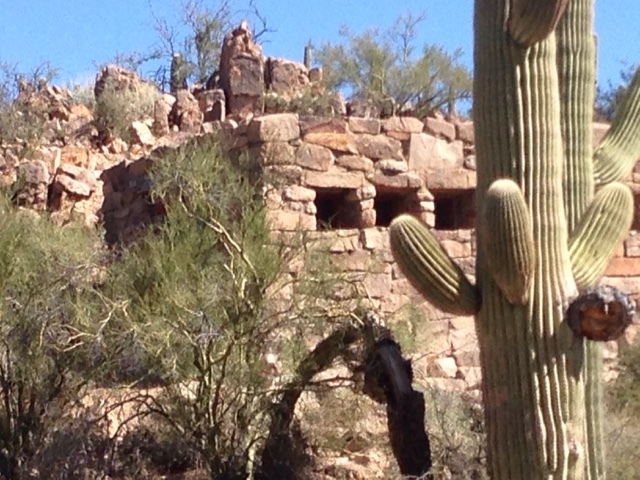 I stopped at this picnic area and this stone building was of some curiosity. A plaque near whereby parked speaks of the CCC (Civilian Conservation Corp) who were housed here to build out the National Parks. The plaque days, in part, that any US naked between 18 and 25 would be accepted but they had to agree that they would send home $25.00 out of their $30.00 paycheck. 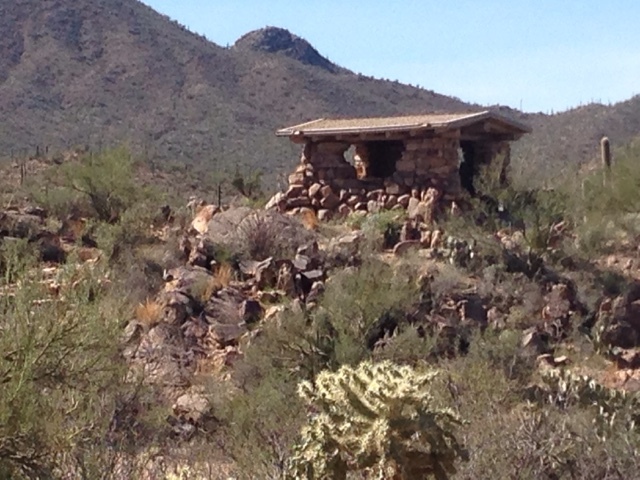 Then there is this stone structure tucked into the hillside. I went boy check it out and found out it was the old men's and woman's toilet structure. 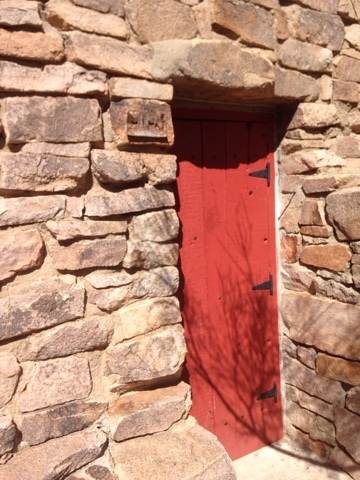 Faintly visible to the left of the door is the men's sign. 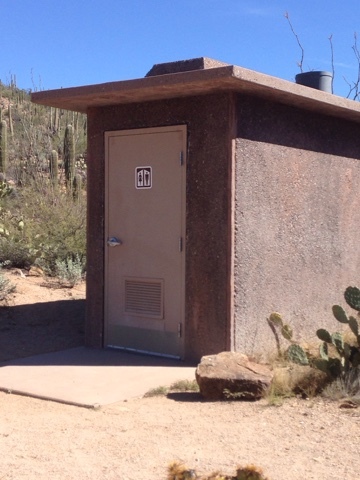 And here is the newer unisex pit toilet that replaced the old stone house. The picnic sites are nice but I wish they allowed camping. I didn't take any hikes this day as I was just here to see the Park as I'm still giving my feet a rest from last week's hike that took a toll on them. 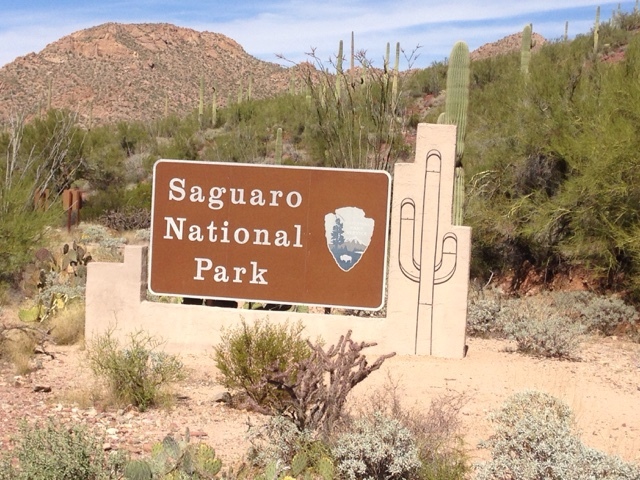 I will also be going to the Saguaro Park East and will write about it.